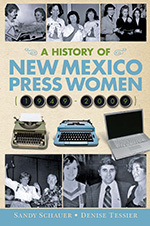 Results of the National Federation of Press Women Communications Contest have been announced and New Mexicans received 13 first place wins out of a total of 37 awards overall. Megan Kamerick of KNME and KUNM, the public radio and television stations of the University of New Mexico in Albuquerque, received three first place awards, as well as an additional third place award in the Radio and Television Division. Her first place wins were in the categories of Prepared Report, Interview and Talk Show. 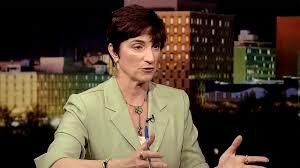 Kamerick is the Morning Edition Host on KUNM radio and is also a television producer on KNME public television. New Mexicans also won three first place awards in the Book Division. Iris Keltz won first place in the Nonfiction books for adult readers – Biography or Autobiography category for her memoir Unexpected Bride in the Promised Land: Journeys in Palestine and Israel. In 1967, Keltz was a young American Jew hitchhiking her way across Europe. She met and married a Palestinian poet, musician and fellow world traveler just as the Six Day War was breaking out. Keltz’s story is intertwined with that of the history of the Palestinians and Jews and comes full circle when she returns to the Promised Land 50 years later. Unexpected Bride was published by Nighthawk Press LLC. Ross Van Dusen won first place in the Children’s Books – Nonfiction category for What makes the lightening? Serving as both writer and illustrator, this is Van Dusen’s third book in his science series for elementary-aged children. The book was published by Rio Grande Press. Sylvia Ramos Cruz, an Albuquerque poet, won first place in the Essay, chapter, or section of a book category for Trilogy: Thoughts on price, value, worth. Reporters and journalists in New Mexico picked up five first place awards in the Writing category. A collaborative series published on NMPolitics.net and edited by Las Crucen Heath Haussamen won the Investigative Reporting category for “Distressed: A look at behavioral health in Southern New Mexico.” The series was funded by a grant from the Foundation for Investigative Journalism and included four news stories and two documentary videos. Las Cruces Sun News reporters Carlos Andres López and Diana Alba Soular and photojournalist Robin Zielinski collaborated with Haussamen on the series, and KRWG’s FM public radio station host Anthony Moreno also contributed reporting. Submitted in the Collegiate/Education category under the Writing – News division, Robert Salas, University of New Mexico student, won first place for his article “UNM grads are leaving the state,” published on the New Mexico in Depth website. In the Advertising category, Videos for Website – Corporate or for-profit division, Marsela Angulo Tucker with Artotems Co, won first place for “Banged-Up Heart” book trailer. This entry was posted in Uncategorized by Karen Wentworth. Bookmark the permalink.